FCIArb, Partner, Head of CIS Arbitration Practice, Integrites. The last few years have not been easy for the majority of Ukrainian businesses. 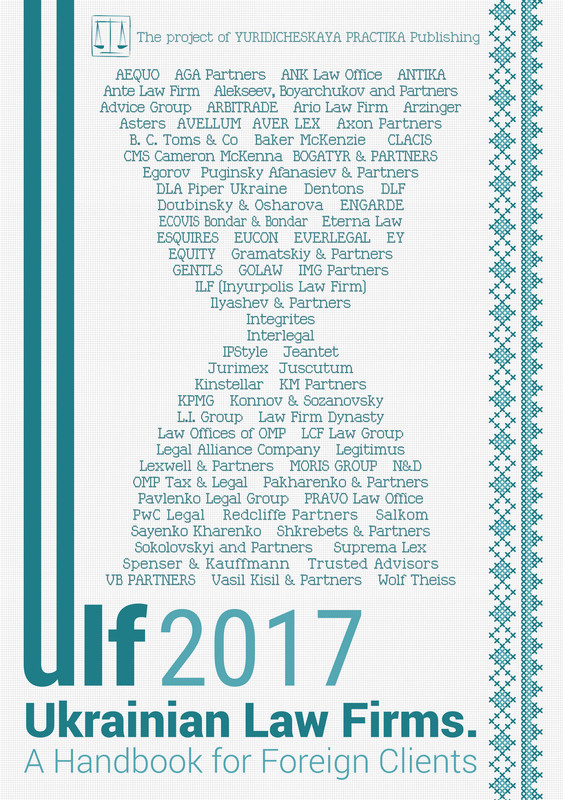 Yet, while certain historically strong industries and sectors have experienced a little turbulence, both in terms of the clients’ focus and required legal support, some managed to stay quite busy and demonstrated steady progression, such as international trade or foreign economic activity as per its Ukrainian descriptor. And while in Ukraine the term has customarily been used in the public context of intra-state trade arrangements based on bilateral or free trade agreements, one should not underestimate the importance of the core business of private B2B trading between national and international players, which defines Ukraine as a trading partner to the world, and the challenges faced on that private level. Despite the overall decline of export volumes in the current marketing year amid hopes for increase of export flows to the EU pending the entry into force of the free trade agreement with Ukraine, the export figures nevertheless remain quite high and even record ones in certain sectors. The overall structure of Ukrainian export is now largely led by the supply of raw commodities as against readymade products with the key categories of exported goods being agricultural produce (with sunflower oil and corn leading the game), metals and products of the machine-building industry. At the same time, as the historically acclaimed title of the bread basket of Europe, Ukraine remains a strong top 10 player in grain export worldwide, competing predominantly with some of its European neighbors (mainly France and Russia) and major international origination markets such as LATAM, the USA and Australia. However, the deep turmoil on commodity markets over the past two years and very low prices caused by relatively good harvests worldwide, resultant oversupply and weakened international demand made competition for the main consumer markets much stronger. National traders, therefore, have to work quite hard to maintain their image as reliable suppliers and to create competitive advantages for Ukrainian commodities. Providing value for money or supplying goods of contractual quality is no longer enough; one now needs a greater degree of adoptability to the constantly changing requirements of buyers or the import regulations of their countries, increasing regulatory and compliance pressures and the overwhelming number of rules that may come into play. The geographical coverage of Ukrainian exports, particularly in the agricultural sector, also gets wider every year. In addition to our traditional markets such as the EU, which takes about a third of the overall export share, and MENA where Egypt and Saudi Arabia are leading demand, a stronger proportion of business goes towards China, Southeast Asia (Korea, Indonesia) India, Bangladesh and Pakistan. With booming opportunities in those markets, business still becomes much riskier due to major differences in mentality, business customs, local laws and the overall approach to international commerce. An increasing number of issues also arise due to the lack of communication, or vastly different interpretation of contractual terms and obligations, as well as the lack of knowledge and understanding of key international trading terms and commonly used rules. All the above factors lead to the logical conclusion that the role of lawyers in the international trade sector is also evolving. It is no longer enough to recite laws or draft academic legal opinions which may often be detached from business reality; one is expected to be both an international business advisor and a risk manager who must be fully engaged from day one, demonstrate solid commercial awareness and guide trading clients through all the hurdles of international commerce. Indeed, some of those hurdles are still quite traditional. First of all, it is the variety of different rules of the game, not just the chosen law of the contract but local export and import regulations, customs and tax regimes, trade agreements and international conventions where applicable, area specific business customs, port rules, bank regulations and many others. Secondly, international trade contracts are usually foreign law based (predominantly English), and while foreign law expertise is widely offered on Ukrainian legal market the devil is indeed in the detail. The lack of a fine touch unfortunately does become evident when one wrongly placed word changes the outcome of a multimillion-dollar dispute and adversely affects the party’s position. Thirdly, dispute resolution forums are often outside Ukraine and may involve concepts very different to those associated with the Ukrainian judicial system. Among the few are wider evidence base, different rules on admissibility of evidence and the concept of disclosure, which may greatly surprise a party unwilling to share with courts or arbitral tribunals any information at all, let alone evidence “potentially harmful” for its case. In addition, as a result of operating in the current highly competitive and unpredictable environment and in an attempt to get the best price, parties often even forget about the “usual” reserves and do not conduct even basic due diligence. This may prove quite detrimental at a later stage. Therefore, entry level checks of names, addresses, business affiliation and authority to sign documents are no longer necessary as they are a given and it is strongly recommended that these are extended even further. Early bank compliance procedures clearing funds, personal guarantees by UBOs or parent companies of the group, performance bonds, export insurance — these are just a few of the ticks that ought to be on the trader’s checklist. The state regulation of the foreign economic sector is embodied in the Law of Ukraine No.959-XII On Foreign Economic Activity of 16 April 1991 (FEA Law) and subsequent legal instruments. The regime itself is relatively mild, largely permissive and reflects quite a few free trade principles (freedom of contract, choice of law, etc). However, some of the instruments of interference and the way in which they are being employed by the state lead to a lot of tensions on the international market affecting both individual exporters and the overall image of the state, even when they have truly justifiable reasons. Export and other trade restrictions are some of the most popular and equally detrimental instruments. For example, the last grain export restrictions saga, back in 2010, caused an unprecedented number of defaults, made Ukraine a negative hot topic in trading circles for a long time and fed various London lawyers for almost five years. While it is commonly understood that trade restrictions or prohibition of export should fall under the definition of force-majeure, this may not always be the case on evidence. Some international contracts usually contain detailed clauses dealing with force-majeure events, their confirmation and consequences (e.g., standard GAFTA or FOSFA contracts). However, some do not and refer to a broad definition of “anything usually understood as force-majeure”, while certain legal systems do not even have force-majeure as a legal concept, making that contractual reference crucial. Yet, on many occasions the restrictions are “unofficial”, meaning no formal confirmation to that effect or available evidence to rely on by either side, leaving national exporters with no practical means of protecting their rights against unhappy buyers. Another limiting state mechanism is the regime of special sanctions set by Article 37 of the FEA Law. Such special sanctions are imposed by the Ministry of Economic Development and Trade of Ukraine for various violations of law and contract and come in the form of penalties, individual licensing or temporary ban on foreign economic activity. The most common violation being the so-called “non-payment of earnings in foreign currency”, which occurs if the full payment for the exported goods does not reach the exporter’s account within the specified time, irrespective of the amount of shortfall. Hence, an unlucky trader who delivered the goods but ended up being unpaid has a dual problem: the need to spend time and resources pursuing a rogue counterparty for payment and the punishment from the state for gross violation of currency laws, which occurred through no fault of his own. Such an unduly punitive approach is very disturbing, since international traders widely use various commercial mechanisms for settling contractual difference (offsets, washouts and discounts) and it greatly limits the national exporters’ ability to resolve disputes without recourse to courts or ADR, saving a lot of time and expense. We hope that with the increasing knowledge of issues and less interference from the state, both Ukrainian exporters and their international counterparties will be ready to face and overcome the new challenges and make their trade deals a mutual success.